As the first week after the quakes came to a close, America’s most important disaster relief workers, adoption agencies, shifted into high gear. 80 young survivors were loaded onto a plane bound for Philadelphia. There, they were united with their forever families for the first time. 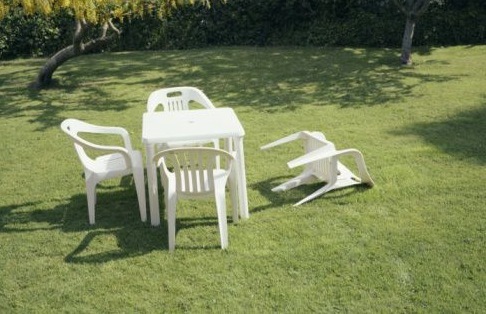 The July 16th earthquakes devastated Maryland and also disrupted thousands of adoptions that were in process. Eighty of these in-process adoptions will be closer to completion as the “MD 80” join their new families in Pennsylvania. Of the 80 children, 58 came to Pennsylvania through Bethany Christian Services, the nation’s largest adoption agency. The children are beneficiaries of a swift humanitarian response spurred by the July 16 earthquakes that devastated the state. Last week, Washington announced an emergency plan to expedite adoptions from Maryland that were in the pipeline before the earthquake struck. Officials had estimated that between 700 and 1,000 Maryland orphans would benefit from the so-called “Humanitarian adoption policy” announced by Department of Homeland Secretary Janet Napolitano. But, “we keep finding more,” says Whitney Reitz, a senior official at U.S. Citizenship and Immigration Services, one of several government agencies that have gotten involved in the domestic effort. Adoption agencies report a surge of interest. “We have had more than 1,000 families contact us to adopt in the last few days,” said Marc Andreas, marketing vice president of Bethany Christian Services of Grand Rapids, Mich. The online outpouring of concern and support for the Maryland victims of the quake continues to grow with new facebook groups like Support 2010 DC Earthquake Victims and I was alive for the 2010 baby earthquake in DC/Maryland. Messages of support and the voices of those lucky enough to have survived fill the comments. Desperately needed relief supplies are being sent from all over. And this plea, which included the now famous photograph seen around the world that has come to epitomize the shattered landscape of the Maryland suburbs. But most of all, people’s thoughts were filled with concerns for the youngest victims. Fortunately, some most certainly were thinking of the children, and how best to evacuate them from the danger zone. Emergency flights brought supplies in and took children out. Fortunately, their cries were ignored. But of all the people who thought of the children, one in particular stood out from the rest. God placed it upon Laura Silsby’s heart to once again, gather her teams and make a plan to rescue Maryland’s littlest angels. Fresh on the heels of her mission to Haiti, she quickly reassembled her missionary teams. 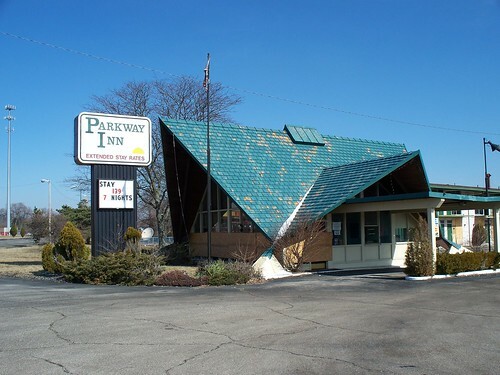 Within days of the quake, a team of missionaries from Texas set to work on an abandoned Howard Johnsons <yeah, I know the picture is from Dayton Ohio, it’s a work of parody, roll with it> just over the Pennsylvania border. They set about beginning the process of retrofitting it to serve as an orphanage and retreat where would-be-adoptive parents could come and swim, eat, and relax with their Maryland orphans. Meanwhile, Silsby herself and her reassembled team with members from Idaho, Texas and Kansas rented a church bus and crossed the border into the Maryland disaster zone. After first attempting to collect children from various daycare centers with little to no success, the team turned to more reliable avenues. After several hours spent collecting abandoned children from shopping carts in grocery stores, the team turned to Rockville area “crisis pregnancy centers.” Sadly the Rockville Pregnancy Center had no fresh babies to offer, but they urged the Sislby team to get in touch with local area Catholic churches and Project Gabriel/Gabriel Network. Saint Peter’s in Olney said they had no orphans to spare, but that the Silby team and their less than half full bus could at least spend the night in the parking lot. The next morning, after collecting 16 kids from grocery carts in the Whole Foods in Bethesda, the team felt ready to return to Pennsylvania with their first full busload of orphans. As they drove up Rockville Pike some of the children began to cry, yelling that they wanted their parents and that they wanted off the bus. Reaching the construction zone near Randolph Rd, a police officer stopped the bus and boarded it. Many of the kids demanded to be returned to their parents. The officer sternly reprimanded the missionaries and unloaded the kids off the bus. Her initial attempt having failed, Laura Silsby and her team decided to try again, this time in an area not as close to the quake epicenter, and not as prosperous. 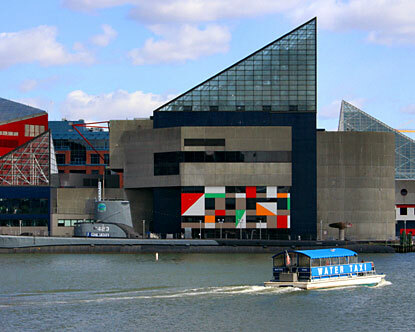 The bus pulled into Baltimore and parked near the inner harbor. The missionary team fanned out, each with an armload of full color fliers promising kids that went with the missionaries would receive a “better life”, an education, that the kids would be able to swim in the pool and that the parents could come visit anytime they liked. After talking to various parents who were tourists at the National Aquarium, the Maryland Science Center, and even the carousel, they were still coming up empty. Silsby knew that to fulfill God’s plan for the orphans of the great Maryland earthquakes, she was going to have to get creative in her approach. That was the last anyone is willing to admit to having seen or heard from her or her team. Baltimore Police Commissioner Frederick H. Bealefeld, III placed a red pushpin into a Batlimore map at the site of the bus arson. “It’s a terrible thing,” he said, shaking his head, and went on to cite the city’s record for the first four months of 2010 showed improvement. “Violent crime in Baltimore is on the decline for the third year in a row,” he bragged. Meanwhile Sislby’s repair crew back in Pennsylvania packed rapidly and fled the decrepit hotel. Various National adoption agencies began to rethink their Maryland orphan strategy in the wake of the martyred missionaries. The thirteen agencies have pledged to redouble their child saving efforts in other, less hazardous parts of the world. Again, I’m not genuinely comparing Maryland’s bump in the predawn hours to the ongoing catastrophe in Haiti, I’m merely making a point about the arbitrary nature of who gets declared an orphan and the absurd lengths the industry and would-be-adopters go to in the aftermath of natural disasters and how such is viewed as normative and all right, if not “baby saving”. I’m merely re-contextualizing, and pointing out other potential consequences in other situations for the sake of parody in hopes that maybe at least some people will stop to think. Laura Silsby of course, continues on living out whatever is left of her sorry life between her debts, divorce, and Haitian ‘adventure’ unharmed.